For fans of “The Walking Dead,” the small town of Senoia, Georgia, is a must-see destination. In 2017, fans arrived from all continents—including Antarctica. Really? “Yes, a scientist came for his vacation,” says Julie Brown of Georgia Tour Company as we stand looking at her world map crowded with pins representing visitors’ hometowns. 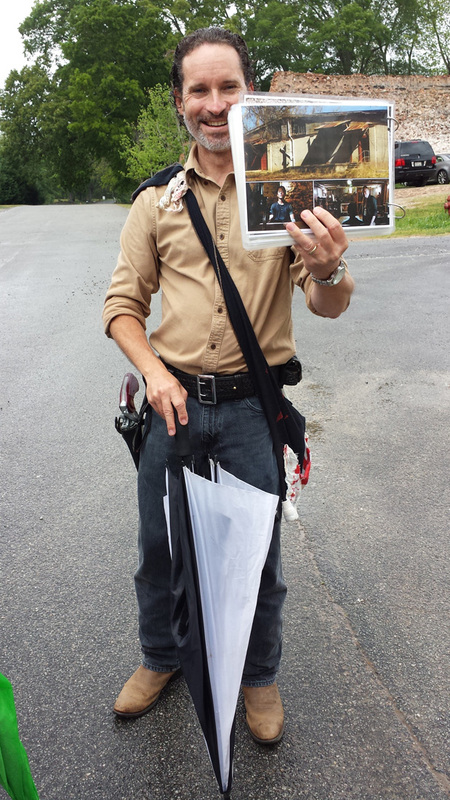 Tour guide Alan Conlan shows visitors around the popular filming site. Senoia (pronounced sen-oy, rhymes with enjoy), located in the southeast corner of Coweta County about 30 miles from Hartsfield-Jackson Atlanta International Airport, is the home base for AMC’s zombie megahit. The show, which recently filmed its eighth season, has been based there since Season Two. Don’t miss The Woodbury Shoppe (woodburyshoppe.com), on the corner of Main and Seavy streets, for “The Walking Dead” merchandise ranging from authentic prop shells to zombie T-shirts. Head downstairs to the basement where a few selfie spots are staged, including a jail cell and dentist’s chair. The Veranda Inn has served as both a backdrop and a base for film stars. Refuel at Senoia Coffee & Cafe (senoiacoffeecafe.com), a corner shop that has appeared in “The Walking Dead” and is popular with fans as well as cast and crew— when visiting Senoia, you never know who you might see. Even if you’ve never watched an episode, it’s easy to enjoy treats such as cinnamon rolls and lattes. Nic and Norman’s (nicandnormans. com), a restaurant owned by producer/make-up artist Greg Nicotero and actor Norman Reedus of “The Walking Dead,” is another mecca for fans, but anyone hungering for tasty fare made with what the menu describes as “the freshest, highest quality, sustainable, natural, non-GMO foods using local products whenever possible” will be satiated with these generous portions. The Veranda historic bed and breakfast inn (verandabandbinn.com) has served as a backdrop for scenes on “The Walking Dead” and the movie “Broken Bridges,” filmed on site in 2006. In addition, cast members from “Fried Green Tomatoes” and “Driving Miss Daisy” stayed at the inn during production. Located a block from Main Street, this clean and comfortable inn is a convenient base for exploring Senoia by foot. 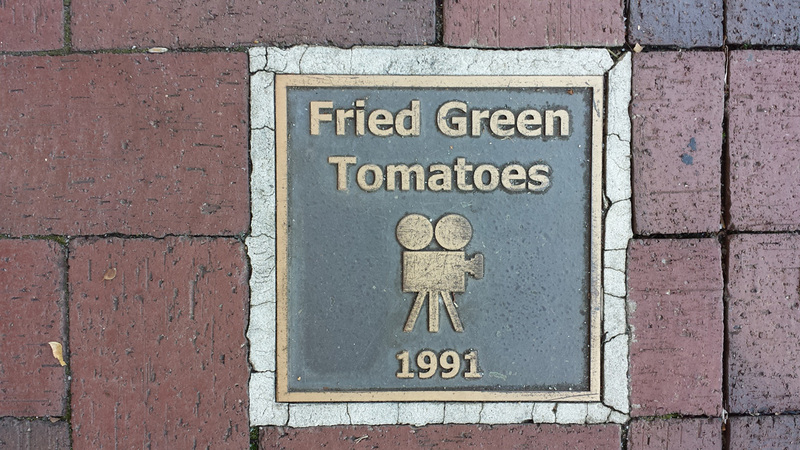 A plaque commemorating the filming of “Fried Green Tomatoes” in Senoia. 1. Stroll Historic Downtown Senoia, founded in 1860 and listed on the National Register of Historic Places. 3. 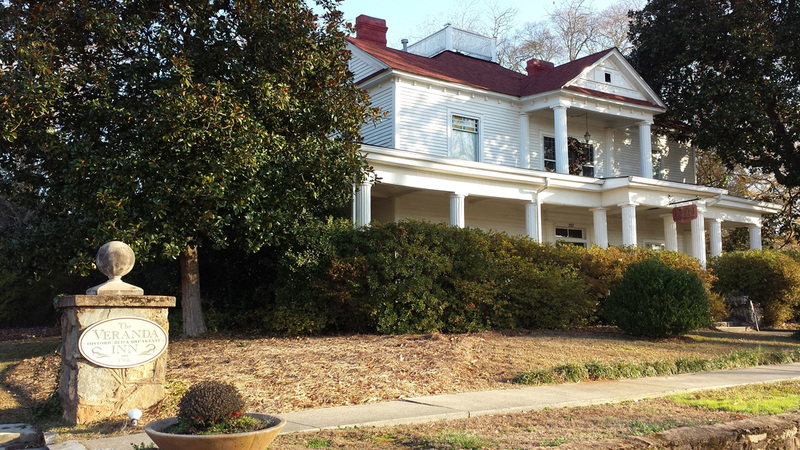 Drive the self-guided tour of Senoia’s Historic Homes.